Greetings to you dear ones! We are so thankful for your partnership in the Gospel and your love, prayers and support for the Polish people! We would like to take this opportunity to be able to share with you some of what the Lord is doing through the mission and church. We rejoice with four individuals from Church (3 from our Church and 1 from a sister Church) who chose to make a public profession of faith in Baptism earlier this month. It is exciting to hear them share their love for the Lord and for their desire to begin this fresh start with Him and to live their lives as the new creation that they were created to be! 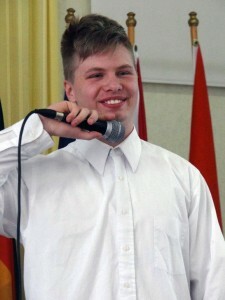 Patryk is one of the four who was baptized. He is a young man and is such an example of Christ working in and through him, and calling him to Himself! Patryk’s past is filled with deep anger issues and a life of poor choices. After getting involved in both Church and the Youth Group ministry…the Lord was able to get his attention and open the eyes of his heart so that he could see Him! Patryk is blossoming as a new creation in Christ! This path is not easy for him as his old friends are turning away from him and giving him a difficult time because of this change (that they do not like). Patryk is very bold with his faith and is not ashamed to share it. When he reads the Bible and learns that there is something in his life that is not pleasing to the Lord, he will stop doing it. What a joy to see the passion in this young man’s life and to be able to see the Lord already bringing out His spiritual gifts in him. This past Easter he did an excellent job writing and leading a drama that several of the youth performed during the Church service. Please pray for him that he would remain faithful in his walk and that the Lord would use him in a mighty way. Pawel (Paul) is another man who was baptized last year and has been eager to share his faith and seek God’s will for his life. Pawel and his wife are currently unemployed (due to an intolerable situation at her workplace). They are both walking in faith that the Lord will continue to provide for their daily needs (and He is!) 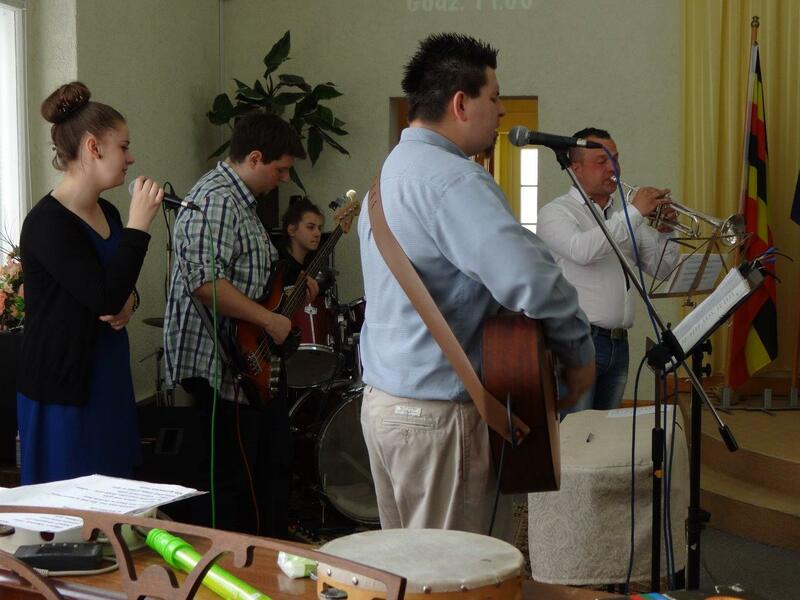 Pawel is now part of the music ministry and plays his trumpet every week during worship! Our Church recently lost one of our members who had been baptized just last year. 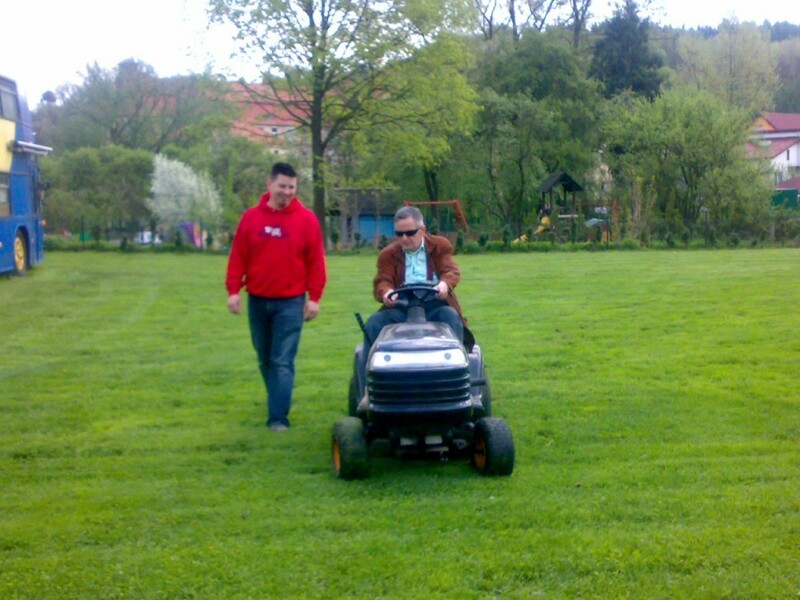 Ryszard (Richard) was a blind man who lost his sight through medical negligence when he was a young child. Richard spent much of his life living in depression, with (what he felt) no purpose or sense in life. He was not only living a dark life physically…but spiritually as well. Though he remained physically blind until his death…he more importantly was given spiritual sight and the blinders in his heart were removed and a new life in Christ came as a result! For the first time in his life he was given a purpose in life and a joy that surpasses understanding! The photo is of him and Pastor Tomek who offered him an opportunity to get on the riding lawn mower and cut the grass at Church. This was the first time in his life he had ever done something like this and he was so happy! Though we miss this man…we are excited for him that he now has spiritual vision and the first thing (other than at the very first part of his life) he was able to lay his eyes on was that of Jesus Himself smiling at him and giving him those words we all long to hear “well done good and faithful servant”. The road was long…but he finished well! Baptism- It is exciting to see so many through the years choose to get baptized and become a new creation in Christ…with a fresh start before them. Please be in prayer for them to be able to continue to grow in their faith and to walk with the Lord all the days of their lives. Church Picnic – 8 June. This is a special time after Church of food, fun and fellowship. It is the end of the church school year for the children and also for the weekly mini VBS children’s ministry. Church members are encouraged to invite their friends for both church as well as the picnic afterward. It is a great time for relationship building and for God’s love to be shown through other believers. Summer Town Festival 11-13 July This is a yearly festival that is held in our town that the mission has been able to be a part of. Please pray that we would be able to drive a large flatbed truck in the parade with the worship team playing Christian music on the back. There are also Church members who follow behind on foot giving out Christian literature and candies. Pray too for the Lord to allow heart times with people and fruitful conversations. Summer VBS 21-25 July This is one of our largest outreaches of the year with hundreds of children coming from the local community. There is lots of fun, crafts, games, drama and teaching time throughout the week. A good amount of the activities are outside…so the weather is always a prayer need (mainly the rains). Please pray for those children that the Lord leads each day…that their ears and heart would be open to the seeds (or watering of past seeds) that the Lord longs to plant/tend to in their lives. Please pray too for the parents who stay during VBS, that the Lord would touch their hearts and lives as well as they listen to what the children are learning about. Belarus- There are 3 different groups coming from Belarus this summer. They are coming from a country that has religious persecution, as they are not able to freely worship. Many young people will be coming for Spiritual retreats to help them in their relationship with the Lord and being able to grow in Christ. Please pray for the next generation in Belarus, that the Lord would do a mighty work in their lives and even now be preparing them for whatever the future holds for this country. Please continue to pray for Marian as he continues to have bad pain in his back. Please pray for wisdom for the doctors…and also for an opening to be able to have surgery. Lidia has been having problems/pain in her eyes. She is being sent to a specialist to determine the best treatment opportunity for her. Please pray for grace and strength for both her and Marion during these physically difficult days. Ken and Giselle will be coming back from their furlough in Australia on June 9th. They are grateful to be able to be a part of the wedding of their oldest son Stephen on May 31st before returning to Poland. Please pray for travel mercies for them as well as goodbyes with their families, children and friends. Pawel and Judy are thankful to be going to the states in June. Please pray for their time with family and friends…and for travel mercies during their time there. Please pray too for good conversations and time together as a family. Robert and Aneta for the additional responsibilities they will have while Pawel and Judy are away. This will be a busy summer with all the ministries, guests and groups coming to the mission. Please pray for Aneta’s mom. She has been in the hospital with a broken hip and also has some lung problems (2 different things). Marzena as she prepares to leave the mission in August. Pray for wisdom as she plans her future and seeks employment near her new home. Tomek and Gosia as Tomek continues to preach on Sundays and lead the Church. Gosia as she studies for final exams for her university studies (while being a mom and wife). Thank you once again for your faithfulness in support and prayer for the mission! We appreciate each of you and your love for us as a mission…as well as the people the Lord allows us to minister too!